Thanksgiving is 2 days away, and I was up bright and early this morning getting my turkey prepped for the big day. Everyone has a different favorite method for their bird, I’m a briner. Why? Well, I am of the school of thought that the moisture lost through roasting has to be replaced somehow otherwise you’ll end up with a dry turkey, and basting seems like a lot of work. Brining 24-48 hours beforehand will start breaking down proteins to add in moisture retention, and well as giving you room to play with flavors you’d like to infuse the meat with. add salt and sugar, stir until dissolved. 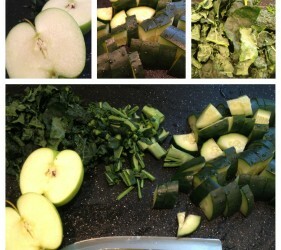 add the remaining 8 cups of cold water, apple cider vinegar, sage, rosemary, thyme, pepper, and ice. use the first oven roasting bag to line a large pot or roasting pan (big enough for your turkey to lay in, but small enough to fit in your fridge). rinse your turkey, pat dry, then place it evenly into the bottom of the other roasting bag. pour brining mixture into bag with turkey, squeeze our as much air as possible, and tie a knot into the top of the bag. 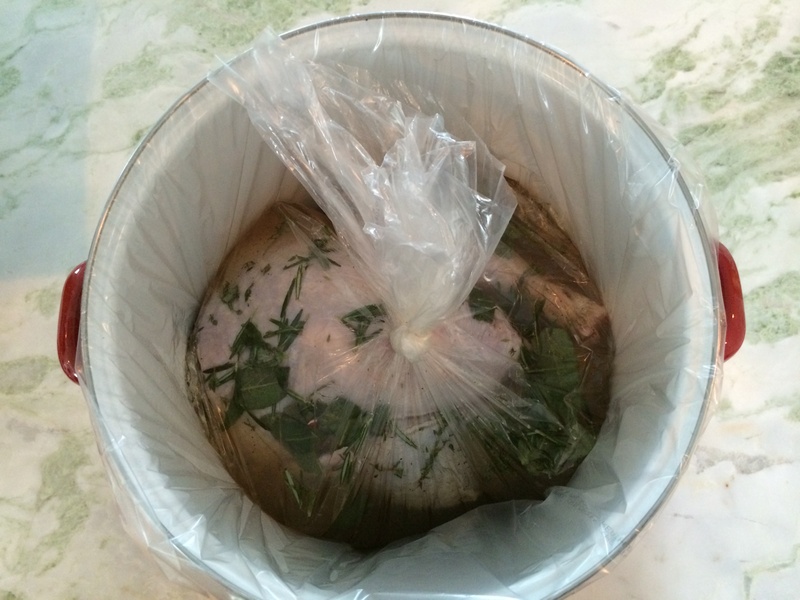 place the bagged-n-brined turkey into the lined pot or pan WITH THE KNOT ON THE TOP and tuck it away in the fridge. because this pot or pan will live in your fridge for the next day or two, try to put it in the back out of your way, the last thing you want is to have to move it every time you want to get the milk. 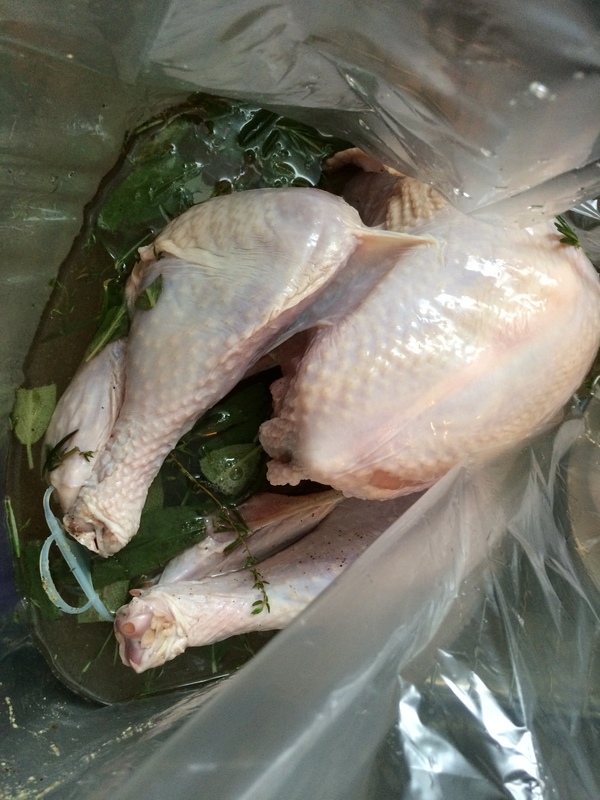 Halfway through your brining time (at the 12 hour mark or the 24 hour mark depending on how soon you started this), flip the brined turkey bag over in its vessel so the knot is on the bottom, ensuring a consistent brining time for the whole turkey. This may (will) leak, that’s why you’ve lined the pot or pan with a second bag. When you’re ready to roast, pull the turkey out of the bag, rinse well, pat dry, and proceed as you wish. I personally like to slather it with herbs with this recipe from Martha Stewart. 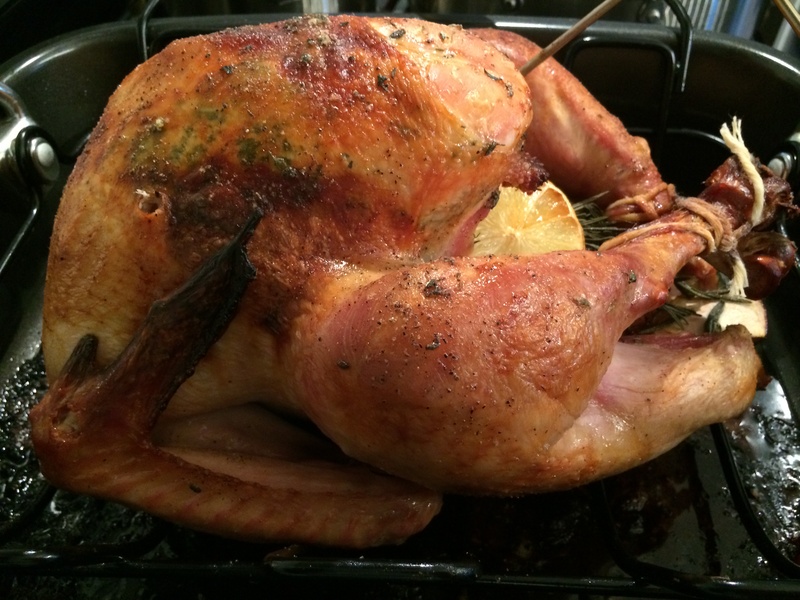 I can pretty confidently say that once your brine a turkey you will probably never go back… it yields fantastic results with very little effort. It’s official. 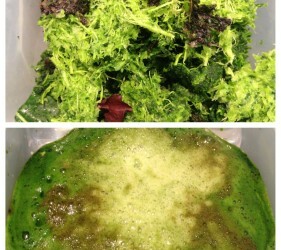 I have jumped on the juicing bandwagon. 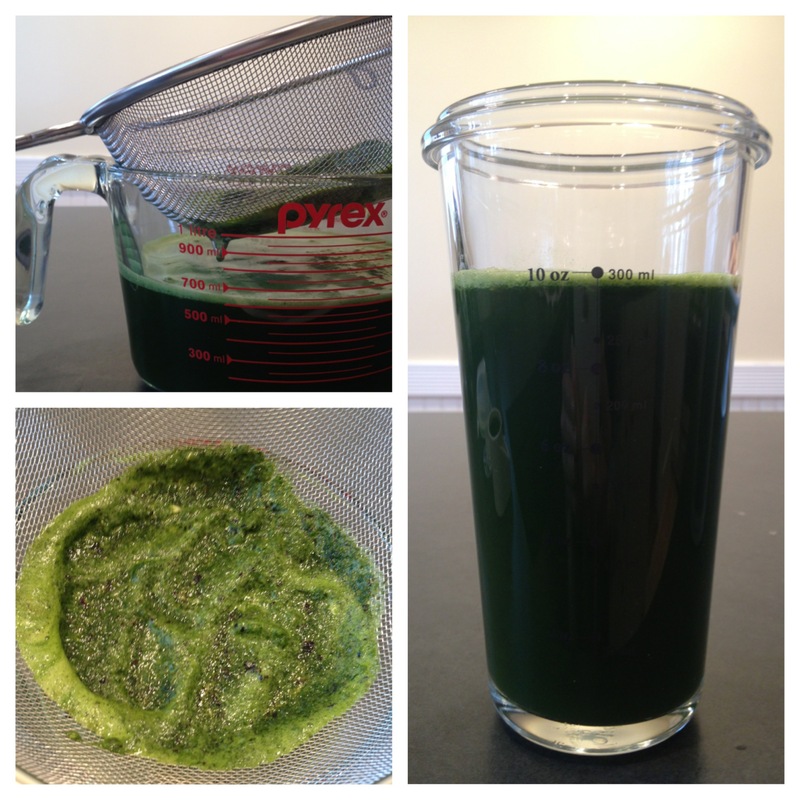 Green juices, that is. 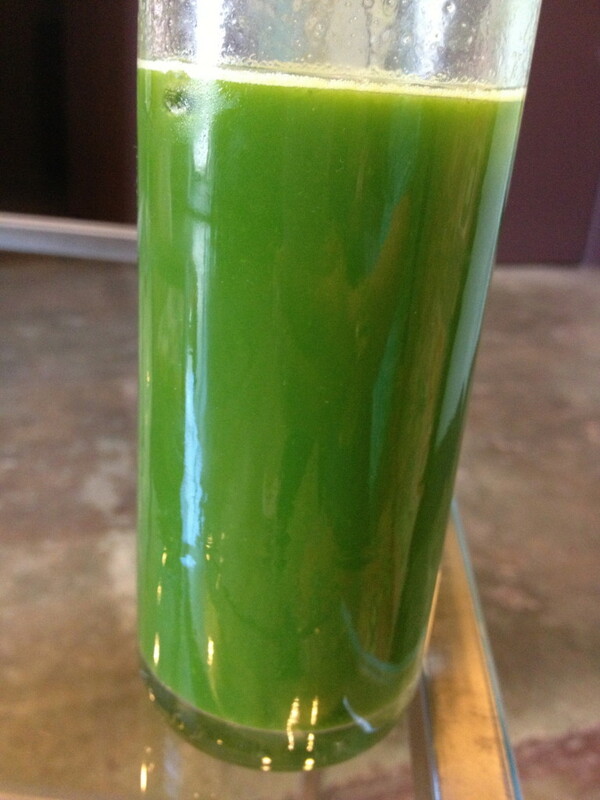 I’ve enjoyed wheatgrass shots for years, but since moving to Newburyport I have developed a taste for daily fresh green juice from Revitalive. But at $10 a bottle, it was becoming an expensive treat. 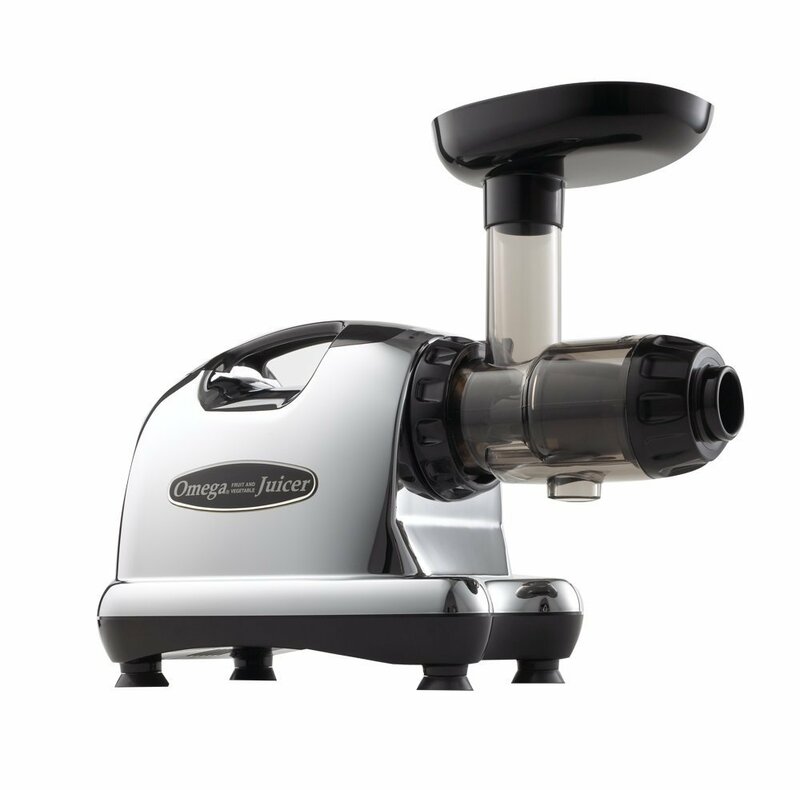 So I decided to take matters into my own hands (of course) and buy juicer. 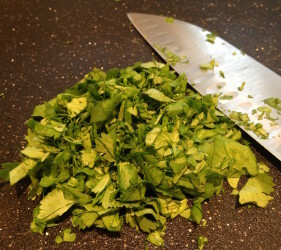 Will quickly masticate hard veggies like beets, sweet potatoes, collard greens, etc. 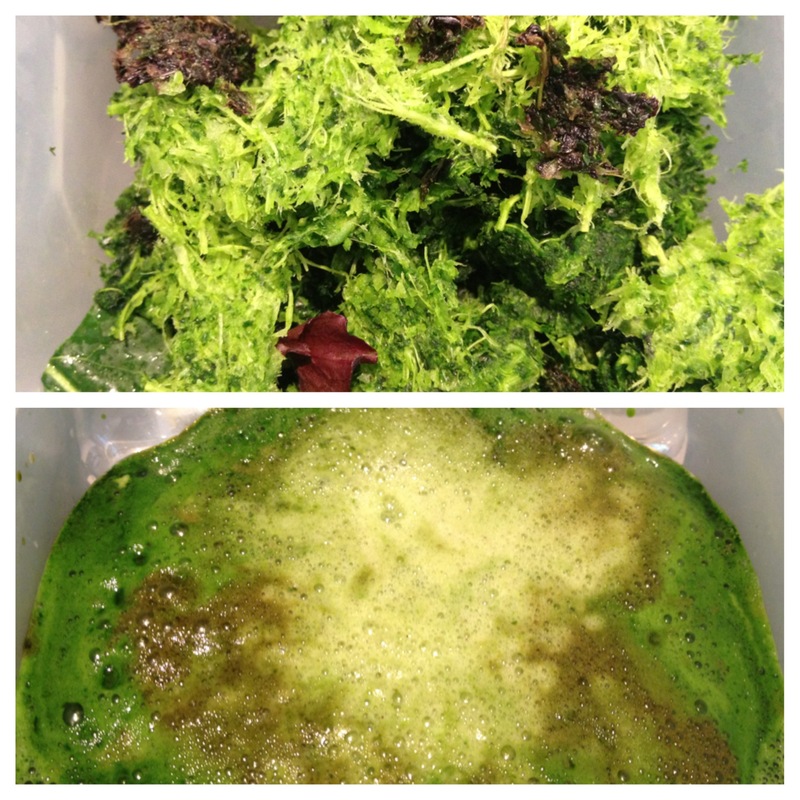 More juice extracted, meaning drier pulp and less waste. 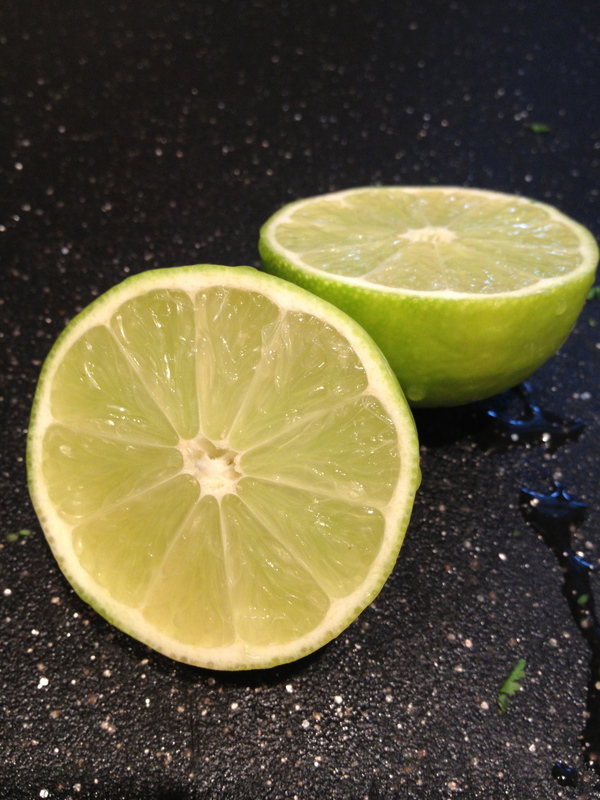 I juice it, strain it, and drink it with ice. 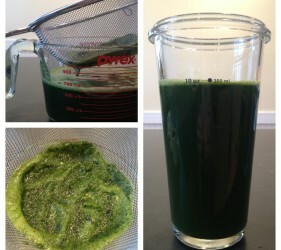 And I can honestly say nothing beats homemade juice- well, homemade everything is better, right? 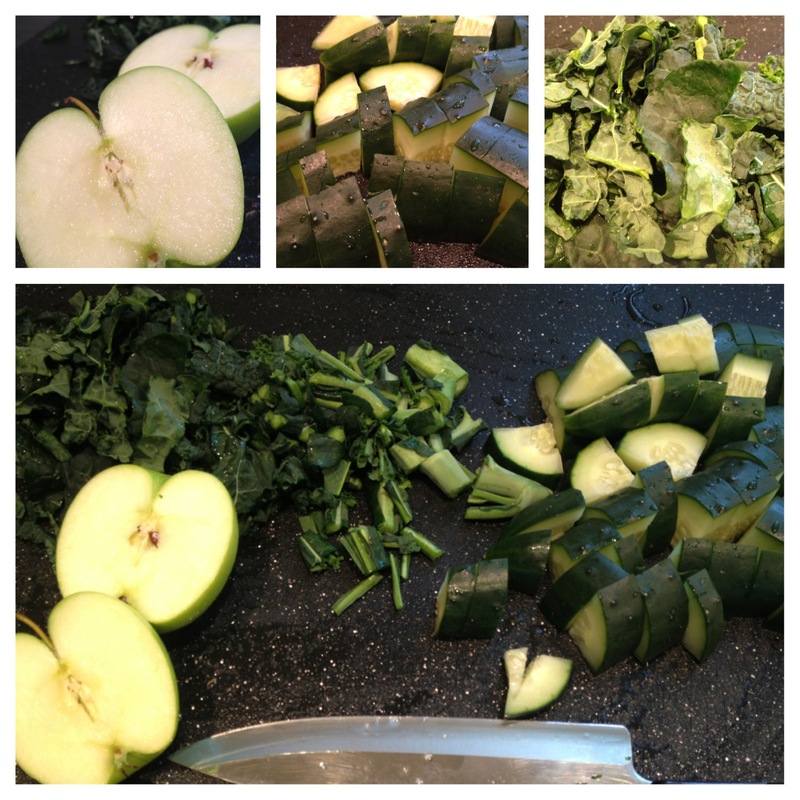 I have also learned I need to be careful who I say the word “juicing” to… Certain people have actually thought I was talking about steroids. Um, really? 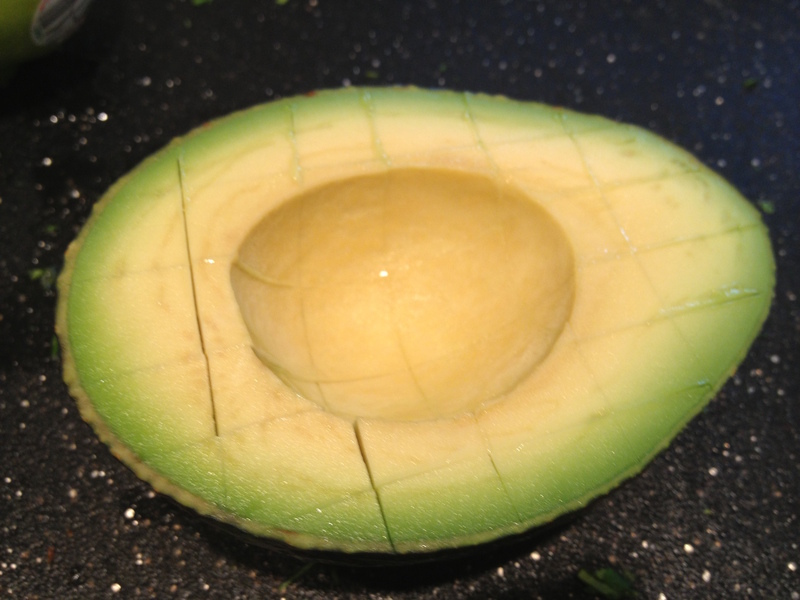 I just went to Trader Joe’s and there it was… the most perfect selection of Haas Avocados. 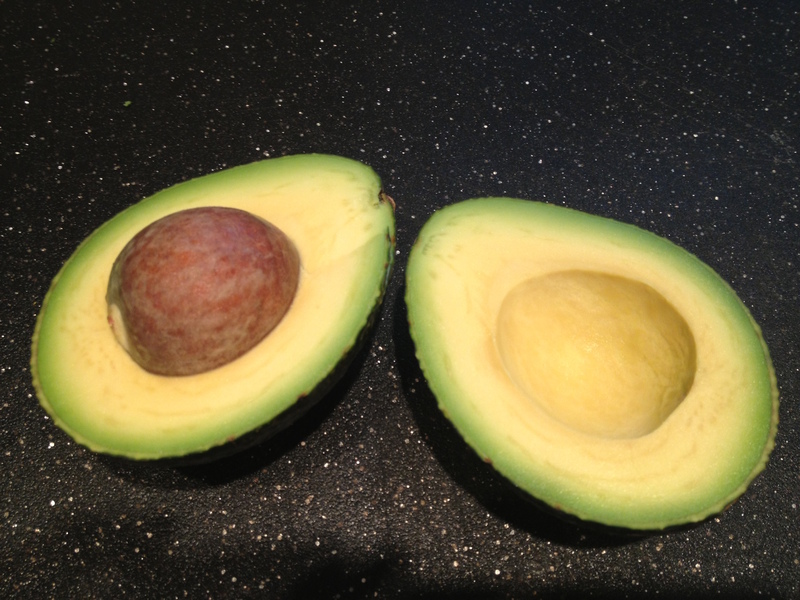 Avocados are a staple in my diet, but this is the first time in months they actually looked really great. I felt around and picked out the ripe/almost ripe ones. It wasn’t until I got home and was unpacking groceries did I realize I bought way too many. Like… six more than I needed. Oops. 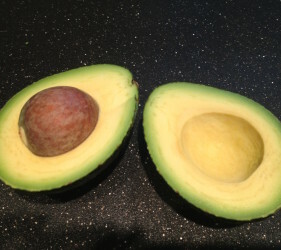 Time for some guacamole! I grabbed the ripest two and got to chopping. 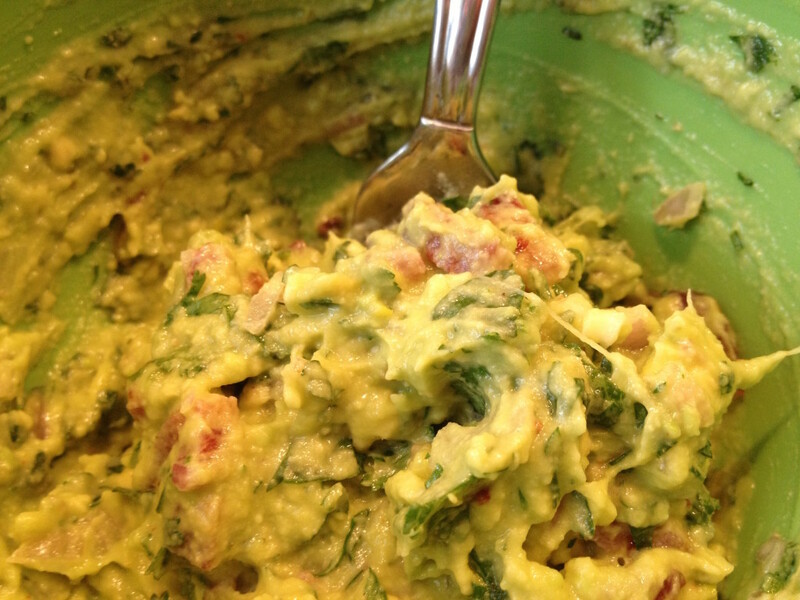 My guacamole recipe is a little unorthodox compared to traditional Mexican Guacamole (this could be because my heritage is French-Danish-German-English-Etc). I use shallots instead of onions, olive oil for some slip, and bacon for the saltiness: it’s basically the best guacamole recipe ever. And…. 2 strips of bacon! 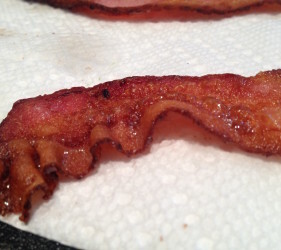 Line the baking sheet with foil, put the strips of bacon on it, and bake for 7-12 minutes until crispy. 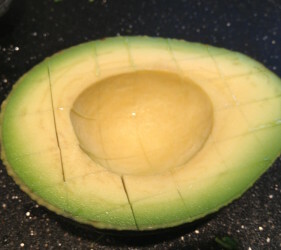 Meanwhile cut your avocados in half, score them into small squares, and squeeze them into bowl. 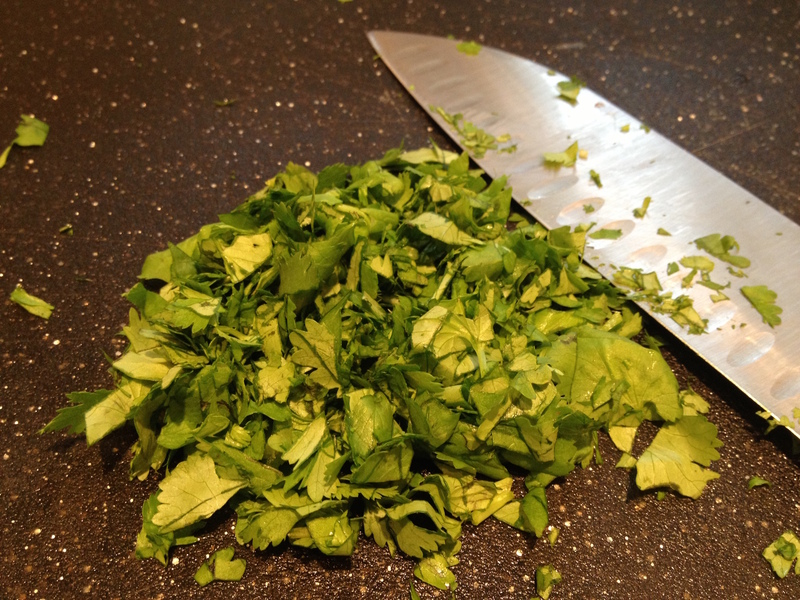 Mince the shallot, chop the cilantro, and start mashing it all together. Depending on how hot you want your guacamole, mince the chili pepper and toss it in (taste as you add, so you don’t make it too spicy) I used 1/2 my pepper. 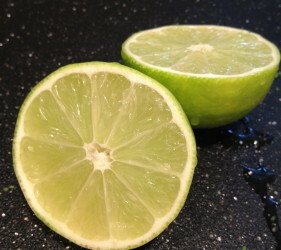 Then squeeze with lime juice, add a pinch of salt, and a splash of olive oil. 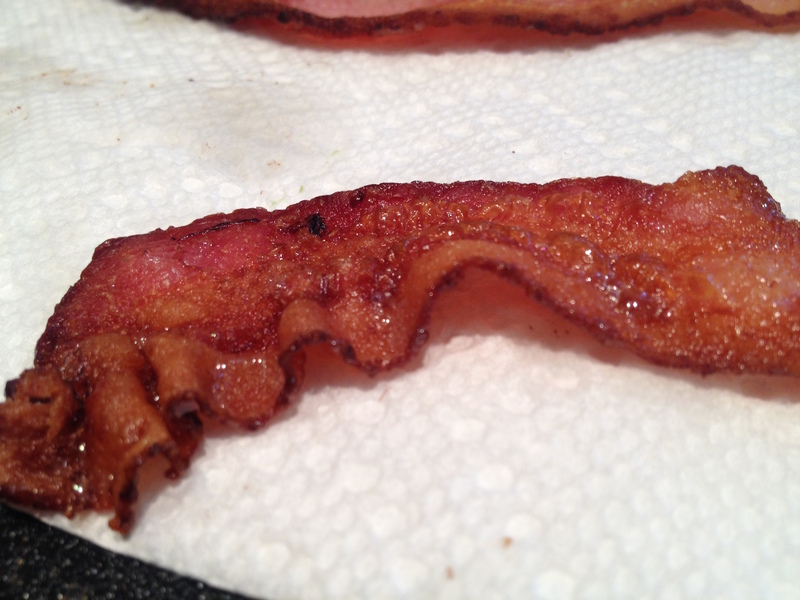 When the strips of bacon are crispy, blot them down with paper towels and roughly chop them. Add to your bowl and give it a final stir. Place the pit in the bowl to slow down the browning process. 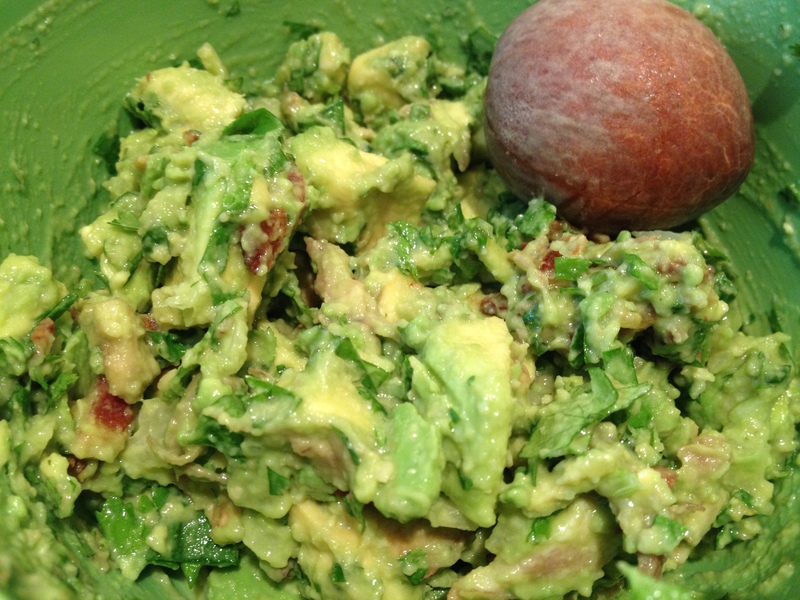 The first time I ever added bacon to guacamole was for a burger I was making. I hate it when I’m eating a sandwich or a burger and all the ingredients slip out; and I find whole strips of bacon notorious for poor sandwich construction. 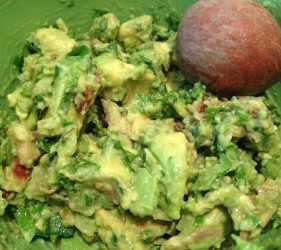 But I didn’t want to ditch the bacon, so I chopped and added it to my guacamole, making every bite of that burger rich with flavor, and no slippage. I’ve been doing it like this ever since.